Chance Sisco went 3-for-3 with two homers and five RBI in Wednesday's win over the Red Sox. Sisco has started off spring training red-hot and is 4-for-6 with three homers and eight RBI through three Grapefruit League games. 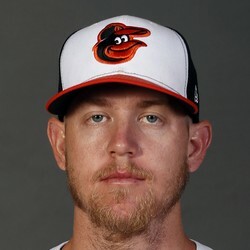 Sisco has a good chance to win the starting job at catcher for the Orioles. The 24-year old is coming off an underwhelming season in 2018 when he hit just .181. Sisco has been going undrafted in most early fantasy drafts and is more of a deeper league own.